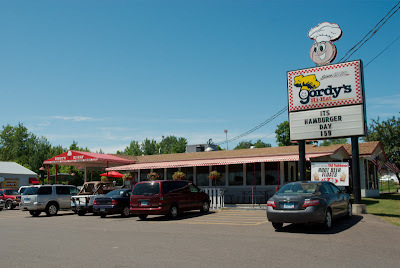 Gordy's Hi-Hat in Cloquet, Minnesota is extremely delicious old fashioned fast food and should be a required stop on any of your expeditions up north. 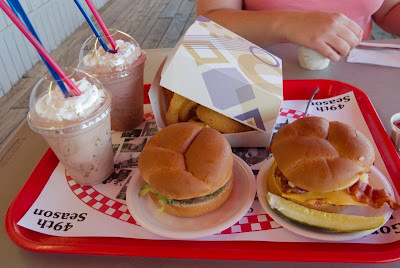 I recommend: burgers (bacon cheese and mushroom swiss particularly), shakes (get the small, it's plenty), fries, and fried cheese curds. Take I-35 to Cloquet and exit onto Minnesota 33. Go north a little ways. Gordy's is on the top of the hill after the bridge, on the left. Gordy's web site (appropriately awful) and a map.